Our Bandera location’s address is 9123 N Loop 1604 W, #101, San Antonio, TX 78249. This location is on the outer road in Bandera Trails Shopping Center, in front of Home Depot and is a highly visible location. Clients come from Helotes, Boerne, Bandera and many small surrounding communities. The staff there are very highly qualified, with a manager that is caring and strives for all of her clients to be living the Slim Life. The staff work one on one wit h all clients to make sure they are receiving excellent weight loss results that they have come to expect. 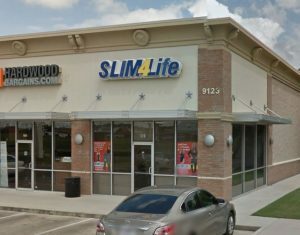 If you live around 1604 West area, call the manager and start your Slim4Life program today. Start today, see results tomorrow. Make an appointment at our San Antonio – Bandera Rd weight loss center today!